Dedicated to conserving and protecting the Texas Hill Country for present and future generations. 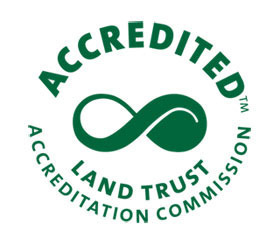 Hill Country Land Trust is a non-profit organization that focuses on the protection and stewardship of land through the holding of conservation easements in partnership with private landowners. A conservation easement is a voluntary legal agreement that ensures a property will forever be managed according to the landowner's wishes. When a landowner places his or her property in a conservation easement, the terms of the agreement are protected in perpetuity by the land trust. Our target area is the Texas Hill Country, a region in Central Texas featuring rugged hills, limestone bedded rivers, and streams at the juncture of 4 eco-regions in Texas. It is home to many endangered and endemic species and is on the Central Flyway for migratory birds. It is threatened by rapid population growth and fragmentation of farm, ranch, and open space land. Our vision is to serve the Texas Hill Country as an exemplary land trust through education, outreach, and partnerships with landowners and other organizations. Come Join Us!